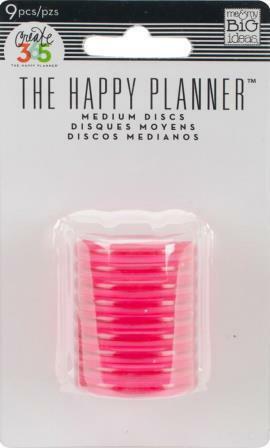 Me & My Big Ideas-Create 365 Planner Expander Rings: Clear Hot Pink. Need more room for all the goodies you're adding to your Happy Planner? Expander rings will give you some extra wiggle room. The perfect addition to the Create 365 Planner (sold separately). This package contains nine 1-1/4 inch wide expander rings.